Flowers in the Foyer, a charismatic floral and gifts shop, situated in the heart of Stellenbosch, is the creative arena in which Hermien, Alida and their professional team of floral artists work. From daily retail and sending clients on their way with small designer wedding bouquets and gifts, to the execution of sought after floral décor for weddings with the emphasis on creativity and originality, it all falls in their range. They take great interest in small, intimate affairs, majestic and flamboyant events as well as everything in between, sometimes working closely with top wedding coordinators in the industry. They combine the unusual, exploring, identifying and interpreting the customer’s thoughts and wishes. Their touch is individual, often daring, always interesting and aesthetically extremely pleasing. Their love for nature is evident in their work as this is where they draw their inspiration from. Experimenting with seeds, pods and twigs, adding flowers from the simplest uncultivated veld treasures to the most exotic blooms available on the market, usually results in a form of rare artistry and beauty. 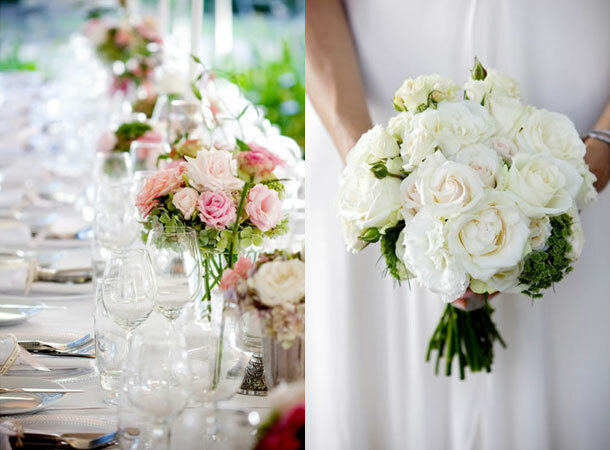 Flowers in the Foyer breathe their zest for life, their creative spirit and sense of fun… so give them a call to see what they can do for your wedding in the Winelands! 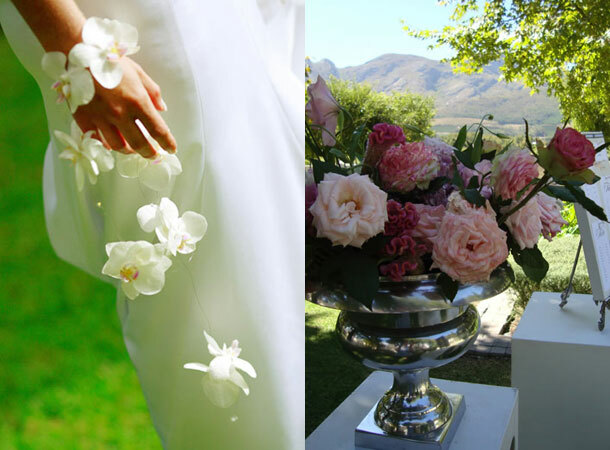 Find them at Flowers in the Foyer, 13 Drostdy Street, Stellenbosch, Cape Winelands or contact Alida or Hermien on Telephone +27 (0)21 887-8138 or see Flowers in The Foyer for more info and photos.